It's about to get real interesting in here! 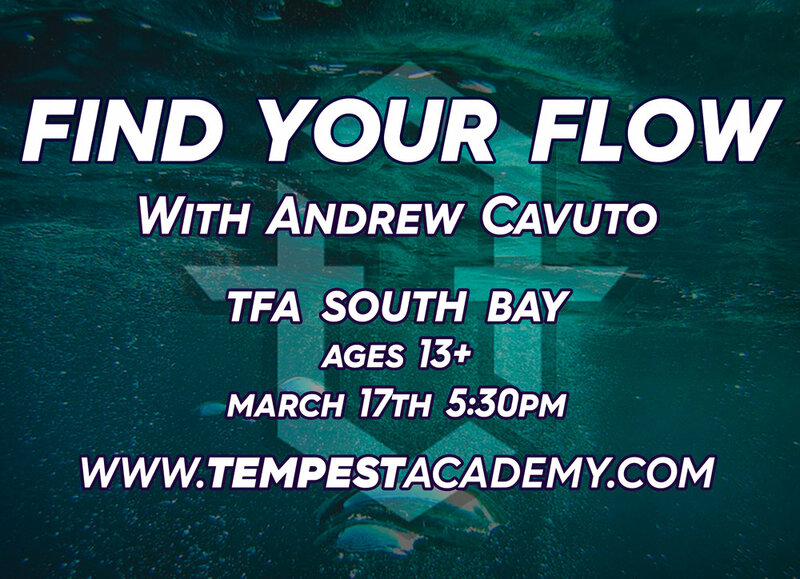 Come join the mad scientist himself, Andrew Cavuto, on March 17th at Tempest Academy South Bay as he pulls back the curtain on his movements and helps you Find Your Flow!! Sign up in person or via phone at 310-644-8676.